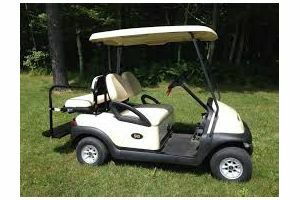 For over two years, a golf cart with four seats has been on our “Wish List.” This past spring, gifts to our Vehicle Fund from St. Paul UCC Belleville turned this wish into a reality. Our “new to us” golf cart looks great and runs like a dream. Summer camp nurses used it to check in with the villages, deliver medications and respond to situations throughout the grounds. Now when they need to transport someone, it’s easy for a third person to ride along – in keeping with our “safe camp” procedures. We opted for an electric model. It’s is so quiet you can approach a campfire or closing circle without disrupting. A special THANKS to St. Paul UCC for their support! St. Paul UCC in Belleville has a long history of reaching out locally and around the country through mission trips. Since 2010, DuBois Center has been blessed to be their mission site on even-numbered years; on odd-numbered years they travel further afield. In 2014 they were joined by members of Christ UCC in Dupo, and the collaboration continues today. This year they have been joined by other friends of DuBois Center. 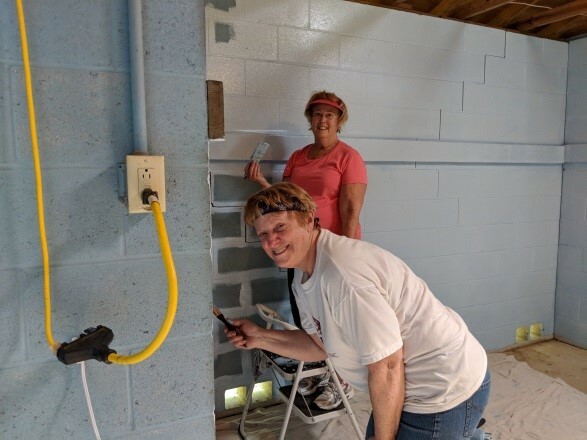 The priority projects for this week include: constructing and installing a new boat dock, upgrading the electric in the Rustic Village cabins, removing and replacing the siding on one side of the office, building changing stalls in the Beach House, and lots and lots of painting. Work began bright and early this morning and will continue through Friday! Please pray for the work team’s safety and hydration this week! Watch our Facebook album for updates throughout the week.